Through July 5 – “Furnace and Flame: Contemporary Studio Glass” at the Spartanburg Art Museum. Learn about the art of his contemporary glass art form and enjoy the beauty of the works on display. For more information call (864) 582-7616 or visit http://www.spartanburgartmuseum.org/current-art-exhibits/34/Furnace+and+Flame. Through June 27 – “All Shook Up” at the Greenville Little Theatre in Greenville. Come enjoy this entertaining theatrical presentations that revolves around the music of Elvis Presley. For more information call (864) 233-6238 or visit http://www.greenvillelittletheatre.org/. Through June 27 – “Boeing Boeing” at the Warehouse Theatre in Greenville. Come enjoy this comedy about an American bachelor with three gorgeous fiancés. For more information call (864) 235-6948 or visit http://www.warehousetheatre.com/boeing-boeing/. Through June 26 – Cinderella’s Bibbidi Bobbidi Boo Camp at Chapman cultural Center in Spartanburg. This is a camp for 4-7 year olds who can dress up like Cinderella and includes daily ballet and mime classes. For more information call (864) 583-0339 or visit http://www.chapmanculturalcenter.org/summer-camps.php#sthash.NngMzvN6.nSGL9jbP.dpbs. June 25 – 27 – Festival of Flowers at multiple locations in Greenwood. Event includes in addition to tours, a topiary display, an art show, , For more information call (864) 223-8411 ext. 232 or visit http://www.scfestivalofflowers.org/. June 25 – August 20 – “Ancient Forms, Modern Minds: Contemporary Cherokee Ceramics” at the Pickens County Museum of Art and History. Exhibit includes works from 11 Cherokee potters. For more information call (864) 898-5963 or visit http://www.visitpickenscounty.com/event/1183/ancient-forms-modern-minds-contemporary-cherokee-ceramics/. 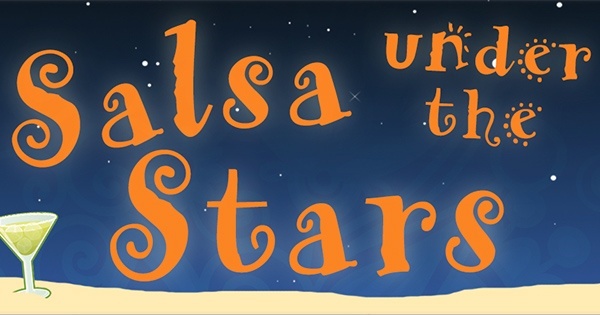 June 27 – Salsa Under the Stars at the Graham Plaza at the Peace Center in Greenville. Event will include a Salsa band, dancing, and a cash bar. For more information visit https://www.facebook.com/events/687286274734495/. June 27 – Aviation Expo at the Greenwood County Airport in Greenwood. This is a fly-in and will offer an introduction to aviation who is interested. Event will include a flight simulator, live entertainment, and dancing. For more information call (864) 942-8557 or visit http://www.aviationexpo.net/. June 27 – Freedom Blast at Greer City Park in Greer. Come out for this Independence Day celebration of entertainment, fun, and of course, fireworks. For more information call (864) 848-2190 or visit http://www.cityofgreer.org/visit/freedom_blast.php. July 3 – 4 – South Carolina Festival of Stars at Ninety Six Park in Ninety Six. Event will include rides, entertainment, food, and fireworks. For more information call (864) 543-3396 or visit http://www.scfestivalofstars.com/. July 3 – 4 – Celebrate America on Old Market Square in downtown Easley. Event will include food, vendors, carnival rides, and evening entertainment in addition to fireworks the evening of the 4th. For more information call (864) 423-4344 or visit http://www.visitpickenscounty.com/event/1004/celebrate-america-festival-in-easley/. July 4 – 4th of July Celebration at the amphitheater in Historic Pickens. For more information call (864) 878-0105 or visit http://www.visitpickenscounty.com/event/931/4th-of-july-celebration-at-pickens-amphitheater/. July 4 – Celebration of Freedom at the Cowpens National Battlefield in Gaffney. Event will include guided battlefield walks, weapons firing demonstrations, and children’s activities. For more information call (864) 461-2828 or visit http://www.nps.gov/cowp/planyourvisit/event-details.htm?eventID=635648-245777. July 4 – Cruzin’ on Main Street at the Gignilliat Sports Complex in Seneca. Event includes food, music, and door prizes. For more information call (864) 247-8816 or visit http://www.appgadget.com/p92thaecbmvf/main.php?view=event&eventid=1423160045682. July 4 – Hillbilly Day at the Mountain Rest Community Club in Mountain Rest. This event has been an annual tradition since 1961 and is the annual highlight of the town. Events include lots of entertainment, such as Bluegrass music and clogging, a greased pig catching contest, homemade food, country crafts, and more. For more information call (864) 638-9070 or visit http://www.mountainrestcommunityclub.com/. July 4 – Red, White and Blue Festival in downtown on Main Street in Greenville. Event will include 2 stages for live bands, activities for the kids, food and beverages, with a fireworks display at the end of the evening. For more information call (864) 232-2273 or visit http://www.greenvillesc.gov/246/Wells-Fargo-Red-White-Blue-Festival. July 4 – Red, White and Boom at Barnet Park in Spartanburg. Event will include a concert by Nashville’s “Love and Theft”, lots of good food, and a fireworks display. For more information call (864) 596-2976 or visit http://www.cityofspartanburg.org/red-white-and-boom. July 4 – 4th of July Celebration by the Homeland Park Fire Department on South Main Street in Anderson. There will be live entertainment, hot dog plates, concessions, and a fireworks display. For more information call (864) 296-9716 or visit http://www.homelandparkfire.com/. July 4 – 5 – Backcountry Militia 4th of July Encampment at Kings Mountain National Military Park in Blacksburg. Learn 18 Century skills from the camps reenactors. For more information call (864) 936-7921 or visit http://www.nps.gov/kimo/planyourvisit/event-details.htm?eventID=384626-245777. Through June 28 – Hampton County Watermelon Festival at a variety of locations in the Hampton and Varnville areas. Event includes a parade, live entertainment, a Mud Run, and more. For more information call (803) 943-4645 or visit http://www.hcmelonfest.org/. June 24 – Predators in Native American Lore at the Museum of York County in Rock Hill. Hear a Native American storytellers stories about predators and lore from long ago. For more information call (803) 329-2121 or visit http://chmuseums.org/event/1822/. June 26 – See Lancaster Live at the Lancaster County Historic Courthouse in Lancaster. This is a kick-off event for the Ag and Art tours providing live entertainment from the Hot Sauce Band who will play music from the 70’s, 80’s, and 90’s. For more information call (803) 289-1486 or visit http://www.agandarttour.com/lancaster. June 27 – Face Painting and Food Tasting at the Aiken County Visitors Center in Aiken. For more information call (803) 642-7557 or visit http://www.tbredcountry.org/common/content.asp?CONTENT=10258&PAGE=311. June 27 – Dutch Oven Bread Baking at Kings Mountain State Living History Farm in Blacksburg. Learn how to make bread the way they did in the 1800’s. For more information call (803) 222-3209 or visit http://southcarolinaparks.com/kingsmountain/introduction.aspx. June 27 – Gravatt Fishing Tournament at the Gravatt Camp and Conference Center in Aiken. For more information call (803) 648-1817 or visit https://www.facebook.com/events/1424257907873069/. June 27 – Pine Needle Basket Workshop at Lee State Park in Bishopville. 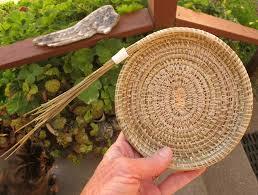 Learn and make your own pine needle basket. 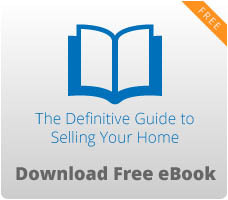 For more information call (803) 428-4988 or visit http://southcarolinaparks.com/products/10003719. June 27 – Independence Day Fireworks at the Aiken Fairgrounds in Aiken. Event will run from 4:00 pm to 10:00 pm and will include rides, games and food. For more information visit http://www.tbredcountry.org/common/content.asp?CONTENT=10105&PAGE=311. June 27 – 28 – Ag and Art Tour at a variety of Chester, Fairfield, Lancaster, Union, and York county farms. This event will provide you with a chance to visit local farms that provide some of South Carolinas produce, observe artists as they work, enjoy live entertainment, and see what rural life is like in these areas of the State. In addition for farms. tours include a brewery and a horse riding stable. For more information call (803) 981-3021 or visit http://www.agandarttour.com/. July 2 – Moonlight Kayak Trip at Big Allison Creek Landing on Lake Wylie in York. Come relax under the moon during the family fun filled event. For more information call (803) 329-5527 or visit http://www.cityofrockhill.com/departments/parks-recreation-tourism/a-l-l-outdoors/kayak-programs/moonlight-kayak-trips. July3 – Red, White & Boom at the Old Town Amphitheater in Rock Hill. Event will include entertainment, food, and fun for the kids. For more information call (888) 702-1320 or visit http://onlyinoldtown.com/do/featured/44/red-white-and-boom. July 4th – Fourth of July Fireworks on Lake Wylie by the Buster Boyd Bridge off of S.C. 9 in York county. For more information call (803) 831-2827 or visit http://www.lakewyliemarinecommission.com/aroundthelake-eventsandcelebrations.htm. July 4 – Independence Day Celebration at Confederate Park in Fort Mill. Come see the firing of the cannons. For more information call (803) 547-2116 ext. 234 or visit http://fortmillsc.gov/. July 4 – Independence Day at Hightower Hall in Historic Brattonsville in McConnells. The event will be held in historic style at an antebellum home with 19th Century games, cooking demonstrations, and house tours. For more information call (803) 684-2327 or visit http://chmuseums.org/event/1762/. July 4 – Independence Day Program at Joe Miller Park in Elloree. Enjoy live entertainment, good food, and a fireworks display. For more information call (803) 897-2821 or visit http://www.elloreesc.com/events.htm. June 26 – Raggae Nights at James Island County Park on James Island. Enjoy some island music at this beautiful island park. For more information call (843) 795-4386 or visit https://ccprc.com/1619/Reggae-Nights. June 27 – Carolina Day at various locations on Sullivan’s Island. Event is in commemoration of the Battle of Sullivan’s Island on June 28, 1776. For more information call (843) 723-3225 or visit http://www.sullivansisland-sc.com/CarolinaDay.aspx. June 27 – Cast Off Fishing Tournament on the Mount Pleasant Pier on Mount Pleasant. For more information call (843) 762-9946 or visit https://www.ccprc.com/2038/Cast-Off-Fishing-Tournaments. June 27 – Miles for Missions Charity Ride and Pig Pickin’ beginning at Coastal Coffee Roasters and ending at Doty Park in Summerville. Proceeds will go to help women in recovery in the Low Country. For more information visit http://www.eventbrite.com/e/miles-for-missions-azars-2015-charity-ride-and-pig-pickin-tickets-16838962791?aff=eac2. June 27 – James Bonecrusher Smith’s Do Right Golf Challenge at the River Oaks Golf Plantation in Myrtle Beach. Proceeds benefit the annual champions for kids summer camp. For more information call (910) 658-3408 or visit http://www.visitmyrtlebeach.com/includes/calendar-of-events/James-Bonecrusher-Smith-s-Do-Right-Golf-Challenge/11403/. June 27 – Riverfest in downtown Conway. There will be non-stop music all day at this beautiful location on the Waccamaw River. For more information call (843) 248-2273 or visit http://www.riverfestconwaysc.com/. June 27 – 28 – Art in the Park at Chapin Park in Myrtle Beach. For more information call (843) 446-3830 or visit http://www.artsyparksy.com/. June 27 – 28 – Festa Italiana at The Market Common in Myrtle Beach. Enjoy Italian food, vendors, and entertainment. For more information call (843) 333-7059 or visit http://www.myrtlebeach.com/myrtle-beach-events/show/italian-festival-at-the-market-common/. July 2 – Independence Celebration in downtown Cheraw. For more information call (843) 537-8421 or visit http://www.cheraw.com/event_details.php?Independence-Celebration-199. July 3 – Moncks Corner 4th of July Festivities to be held at the Regional Recreation Complex in Moncks Corner. Event will include a parade, a band and street dance, followed by a fireworks display. For more information call (843) 899-4708 or visit http://www.townofmonckscorner.sc.gov/spevents/Pages/default.aspx. July 4 – 4th of July Fireworks at the Cherry Grove Pier in North Myrtle Beach. Bring a chair and enjoy the show! For more information call (877) 332-2662 or visit http://www.myrtlebeach.com/myrtle-beach-events/show/19th-annual-fireworks-at-cherry-grove-pier/. July 4 – Red, White, and Blue on the Green at the Gahagan Sports Complex in Summerville. There will be music, games, activities, even patriotic newspaper hats, in addition to a fireworks display. For more information call (843) 871-6000 or visit http://www.summervilledream.org/red-white-and-blue-green. July 4 – Fabulous Fourth in the Creek at the Marguerite H. Brown Municipal Center in Goose Creek. There will be live music, food vendors, activities for the kids, and a Grand Finale Fireworks display. For more information call (843) 569-4242 or visit http://www.cityofgoosecreek.com/CivicAlerts.aspx?AID=137. July 4 – Independence Day Fireworks at Broadway at the Beach in Myrtle Beach. For more information call (843) 444-2300 or visit http://www.broadwayatthebeach.com/fireworks.aspx. July 4 – 4th of July Fireworks at Barefoot Landing in North Myrtle Beach. For more information call (843) 272-8349 or visit http://www.bflanding.com/fireworks.aspx. July 4 – Murrells Inlet July 4 Boat Parade at The Point in Garden City. The boat parade will take place early in the day and there will be a fireworks display over the marsh at night. For more information call (843) 652-4236 or visit http://www.myrtlebeach.com/myrtle-beach-events/show/murrells-inlet-4th-of-july-boat-parade-fireworks/. July 4 – Sea Stars and Stripes Fourth of July Celebration at the South Carolina Aquarium in Charleston. There will be delicious sustainable seafood, barbeque, and locally brewed beer. For more information call (843) 720-1990 or visit http://www.fox14tv.com/story/29307520/sea-stars-and-stripes-fourth-of-july-celebration-at-the-south-carolina-aquarium. July 4 – July 4th Celebration at Riverfront Park in North Charleston. There will be live entertainment, lots of activities for the kids, food trucks, beer and wine stations, and a beautiful fireworks display to end the day. For more information call (843) 740-5853 or visit http://www.northcharleston.org/Residents/Special-Events/4th-of-July-Festival.aspx. July 4 – Patriots Point 4th of July Celebration at 40 Patriots Point Road in Mount Pleasant. Event will include two different options to be on the actual flight deck of the ship as well as landside, but all will include live entertainment, access to food and beverages, as well as a view of one of the most fabulous fireworks displays in the Southeast. For more information call (843) 986-2211 or visit http://www.patriotspoint.org/news_events/tickets-on-sale-for-patriots-points-fourth-of-july-fireworks-blast/. July 4 – Salute from the Shore along the South Carolina coast from Cherry Grove to Hilton Head. Come see this fly-over of vintage aircrafts in honor of our troops. For more information call (803) 650-9548 or visit http://salutefromtheshore.org/. July 4 – Surfside Beach 4th of July Celebration at the Surfside Pier at Surfside Beach. For more information call (843) 650-9548 or visit http://www.myrtlebeach.com/myrtle-beach-events/show/surfside-beach-4th-of-july-celebration1/. July 4 – Port Royal 4th of July Celebration at The Sands in Port Royal. There will be food and entertainment for the entire family prior to the fireworks display. For more information call (843) 986-2211 or visit http://www.beaufortsc.org/events/show/4th-of-july-2015-celebration-fireworks-at-the-sands-of-port-royal/. July 4 – Uncle Sam Jam at the Mount Pleasant Pier in Mount Pleasant. Enjoy dancing to beach music and enjoy the areas fireworks displays over the water. For more information call (843) 795-4368 or visit http://www.eventcrazy.com/Mount-Pleasant-SC/events/details/353129-Uncle-Sam-Jam. July 4 – Firecracker 5K to be held at the Shelter Cove Community Park on Hilton Head Island. Event includes the 5K Run and Family Fun Walk, which will be followed by live entertainment, cold refreshments, and food vendors. For more information call (843) 757-8520 or visit http://www.bearfootsports.com/heels_race_info.htm. July 8 – 11 – MegaDock Billfishing Tournament at the Charleston City Marina in Charleston. Come join the fun on the Dock for 4 days of fishing with like minded individuals. For more information call (843) 278-4920 or visit http://www.megadocktournament.com/.